Born and raised in the Netherlands, Tom decided on an early age that music would be what he wanted to do. At 5 years old he started to play guitar and studied at the Rotterdam Conservatory of Music after high school. At the conservatory it was always clear that Tom would go for projects that made beautiful music, with interesting people, instead of going for a more mainstream side of music and so he became part of Sky Architect and Mayra Orchestra. Sky Architect released four albums so far and Mayra Orchestra released two albums and one live dvd. Having achieved many things with those bands, it was about time to invest in his own song material. He has always been writing songs, but it wasn’t until 2014 that he started to record and write more of his own and all this led to the unofficial release of ‘a Silent Sound’ in 2015. Releasing one song at the time while traveling the world, choosing what song was to be released according to what the experiences were in the place he would be at that time. Eventually coming back in Europe, all the experiences and impressions had such an impact and gave direct inspiration for ‘COMPASS’. Most of the songs have been composed in a far away land, most of the lyrics have been written in Sweden and most of the music has been recorded in Rotterdam. You can say this is definitely a multi-cultural music production. 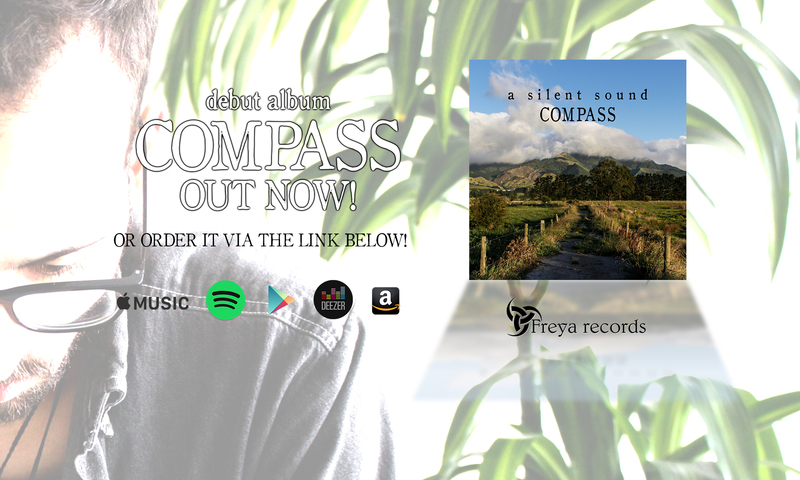 ‘COMPASS’ will be released on FREYA RECORDS and will also be available on all the digital platforms.